This Sunday @BFC: GREEN BAGS, Sunday School, Worship, Singing Ensemble! First off, don’t forget that this Sunday, 2/8, is Berkeley Friends Church’s collection day for our contributions to the Berkeley Neighborhood Food Project, so please bring your green bags with you to bring them into worship! …and our Sunday schedule begins with Sunday School classes for kids & adults, at 10 AM. The adults have just begun a new study–a book called Conversation with Christ, which is a very engaging study of the Gospel of John written by former BFC pastor Doug Gwyn. Come and check it out! Then we gather for worship at 11 AM, with song, prayer, stillness, and a prepared message focusing on another aspect of the Kingdom of God. Fellowship time follows, and then the Singing Ensemble rehearses at 1 PM. Please join us as we worship God through learning, worship, fellowship and song! 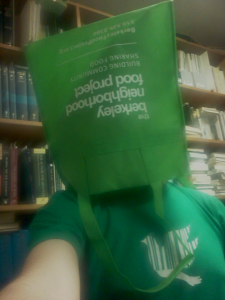 Comments Off on This Sunday @BFC: GREEN BAGS, Sunday School, Worship, Singing Ensemble!